Book View Cafe, 9781611387476, 220pp. Step into a world of your own making . 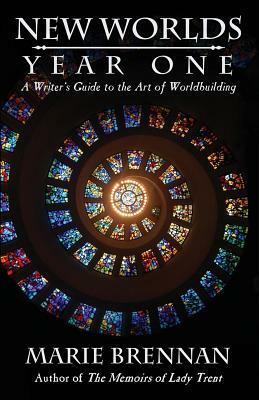 . .
Worldbuilding is one of the great pleasures of writing science fiction and fantasy -- and also one of its greatest challenges. Award-winning fantasy author Marie Brennan draws on her academic training in anthropology to peel back the layers of a setting, going past the surface details to explore questions many authors never think to answer. She invites you to consider the endless variety of real-world cultures -- from climate to counterfeiting, from sumptuary laws to slang -- and the equally endless possibilities speculative fiction has to offer. This volume collects essays from the first year of the New Worlds Patreon.